We’re taking Indianapolis’ favorite family restaurant NATIONWIDE, and the word is out. 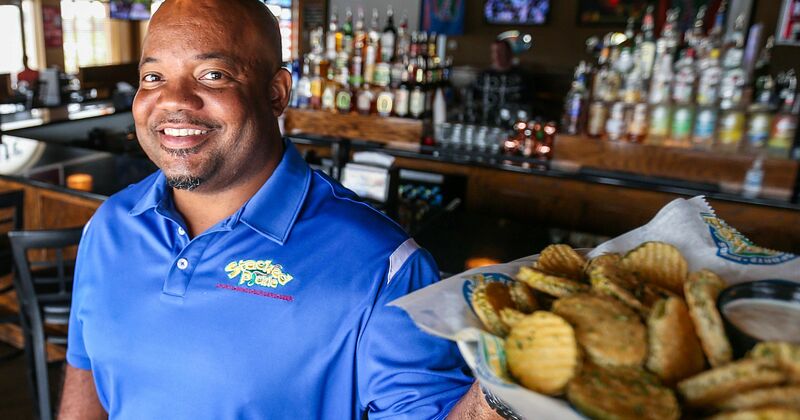 Last week, the Indianapolis Business Journal sat with our CEO, Gary Brackett, to discuss franchise expansion, opportunity, and vision. Featured in the article were two of our most loyal supporters at Southport & Greenwood: Ray & Diana Bridges. Also fans of GB during his playing days, their love for #58 has carried over to Stacked Pickle with tremendous results! Franchise plans and opportunities were discussed in depth as well, with the IBJ getting some exclusive information on potential franchisees & locations which you will want to read up on as well. CBRE First Vice President Steve Delaney, who was referenced in the article, said that our national interest at this stage in the process is “a strong indicator” the chain will be successful. When you are part of this team–this FAMILY, you can be certain of one thing: We’re here to support YOU. Purdue Hits Record Sales Numbers!